Ginger Powder - a wonder ingredient? 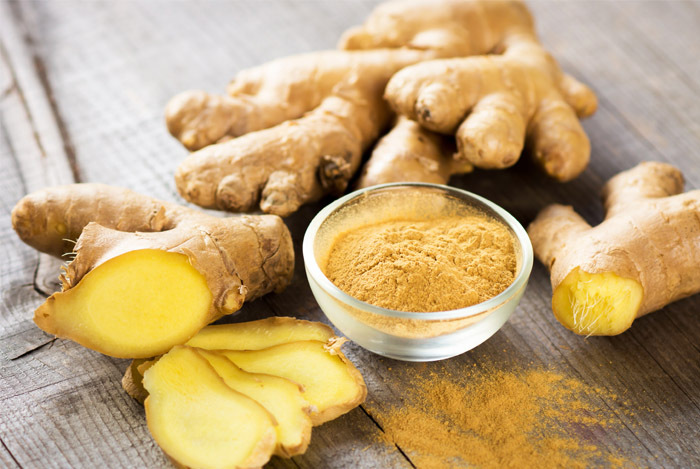 The majority of herbal medicines that you will buy will have ginger in them, for years ginger has been used to treat a number of health issues and we thought we'd investigate some of the most talked about health claims. Perhaps the most helpful use for Ginger is to help an upset stomach. Due to it's anti inflammatory properties, it helps to neutralise stomach acids and stimulate digestion which in turn eliminates excess gas which can often be the cause of stomach pain. Dry ginger powder contains thermogenic agents that can burn fat. Regular consumption can help boost your metabolism and burn off extra fat helping you to loose weight! Mixing ginger powder with water is highly effective in reducing nausea, it soothes the stomach and gives relief from inflammation. Again, the anti inflammatory properties help to relieve the common cold. Mixing ginger powder and warm water can have immediate effects on colds by unblocking airways. You will often find ginger used as a spice in curries along with ginger sweets that are said to reduce flatulence. You may see ginger in the ingredients to some of your favourite face mask, the anti-inflammatory properties help to fight acne by unclogging pores and killing bacteria!